You only need to spend 10 minutes in Kampala, Uganda’s buzzing capital, to understand the importance of the motorcycle taxi, or boda boda, industry. Thought to be the second-highest employer in Uganda, there are an estimated 100,000 drivers traversing the city every day. Notwithstanding the impact it has on improving mobility in this highly congested city, the boda boda industry also provides vital income to many young men and their families. However, against a backdrop of rising crime and road accidents, the system is no longer working for either passengers or drivers. It is not uncommon to hear of people losing possessions whilst on a boda ride, stolen either by their own driver or grabbed by others who vanish into the traffic. Rather more importantly, some of the statistics around fatalities provide the starkest reminder that this is an industry in need of improvement. According to the WHO, by 2030 road accidents are set to match HIV/AIDS as the biggest killers in low and middle-income countries. Kampala, where less than 1 percent of passengers wear helmets, is no exception, and the 27 in 100,000 deaths from road accidents is thought to cost Uganda a 2.9 percent loss of GDP annually. And that’s where SafeBoda comes in. Founded in 2015, we believe that everyone in an African city should have easy and safe access to mobility. Using an app, we connect our community of trained, professional drivers with passengers who are looking for a safer, more convenient and more reliable experience at an attractive price point. Underlying this service, the SafeBoda community of drivers are trusted and respected – a rarity in the informal motorcycle taxi industry. In 2017, SafeBoda is aggressively growing its presence in the home market of Kampala while also starting our first venture into a second city in Africa later this year. Every one of our 1,100 SafeBoda drivers has undergone a rigorous interview process followed by training in first-aid and road safety. They are identified by their name and trackable number, clearly visible on their helmets and high-vis jackets, and every one carries a spare helmet and hairnets for their passengers. We provide an alternative to simply hailing a total stranger in the street, whilst simultaneously improving the reputation and livelihood of the boda drivers themselves. 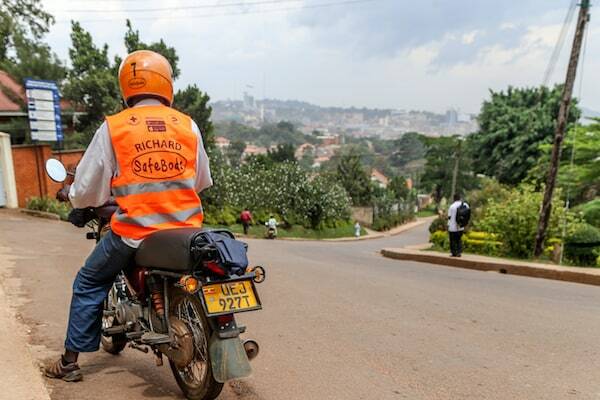 When a boda driver becomes a SafeBoda driver, he can get up to 50 percent more trips per day. Building an app in Uganda and managing operations within this famously unregulated industry have not been without its challenges. However, with 20 percent week-on-week ride growth and an average customer rating of 4.8 out of 5 we’re standing in good stead. Perhaps it’s time to share what we’ve learnt so far about building an app in Africa. Understand the users and their perception of technology. Data costs are high and aside from WhatsApp and Facebook, tech intrigue and use of other applications are still in their early stages. The status-quo, non-tech way of using a service or product may be perceived to be easier than using an app, therefore success depends on channeling tech into the consciousness – and this requires empathizing with people’s reality and understanding their bottom-line. Before anything else, you need to show people how to use your product in ways that make sense to them – the more intuitive, the better. Smartphone usage in Africa has doubled in the past two years, so there is no doubt the revolution is happening. But in the meantime, whether it’s digital advertising, app on-boarding or direct sales, it is critical to invest in educating the potential user. Build the right infrastructure and team. While it is in our mission to build our app locally to support the growth of the Ugandan tech ecosystem, the decision came with many challenges. Poor connectivity, regular power blackouts and a limited supply of outstanding tech talent are not conducive to building a product quickly. However, the emotional importance of creating a truly African company for both employees and customers is not to be underestimated. Spend time laying the groundwork, invest in backup generators, and if you care about the culture of the company, consider importing expertise from elsewhere in Africa. SafeBoda’s product team, comprised of engineers from all over both East and West Africa (including a former Andela fellow), have been one of our greatest successes. Overcome low access to capital. Having runway for the business is essential – ideas are great, but you need to test them. Local investors are few and far between, and international investors can be put off by the risk of the unknown. Unfortunately in Kampala, very few startups raise enough capital to focus on their idea and even get to a minimum viable product to test in the market. For example, many aspiring tech entrepreneurs are forced to juggle some type of part-time paid gig for an IT firm whilst working on their idea in the evenings. One potential solution here is the accelerators, which nurture and develop businesses in their early years. However, these enterprises are always on the search for funding, as well as great local and international talent that can give entrepreneurs the focus and support to get to market. One also shouldn’t underestimate how a successfully run hub can have a knock-on effect on other companies and put a region on the global tech map (see CC Hub, which supported the foundation of Andela, which has gone on to develop some of the best tech talent across the continent). Fortunately, investors are increasingly aware of the growing opportunities in products and services for the rapidly growing populations of Africa’s cities. However, despite these difficult challenges, you will quickly learn that these are wonderful obstacles to have, and quite possibly the reason you decided to take the plunge in the first place. And you shouldn’t be put off – growing a company anywhere is hard. The startup scene in Kampala is exciting, supportive and buzzing with ideas. With the right focus, startups can disrupt markets and change lives. 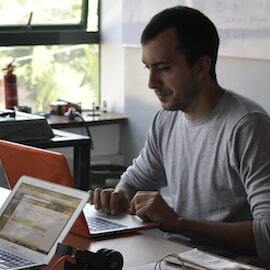 Alastair Sussock is the co-founder of SafeBoda.